Many of the techniques that help manipulate public perception, create fake news and make false leads for the subsequent prosecution of an innocent party are based on artificial intelligence (AI) technologies. While the Silicon giants in America have more or less established a monopoly in social and political engineering through social media, bots and various algorithms, America’s security agencies are moving in the same direction, but with much more aggressive goals. The Defense Advanced Research Projects Agency (DARPA) is a leader in this field. For example, the agency has already allocated $2 billion to AI development projects over the next five years. One of these – Artificial Intelligence Exploration launched in July 2018 – is aimed at developing third wave AI tools that bring reasoning and contextual awareness to a technology that might not understand the world it is trying to describe. This is DARPA’s main umbrella project. Another is aimed at automating the extraction of scientific knowledge and is fittingly called Automating Scientific Knowledge Extraction. The tool will automatically locate new data and scientific resources, analyse them for useful information, compare the findings to existing research, then generate new models. There are also programs related to a new generation of neurotechnologies. The basic idea is to create a neural interface that can be used to translate thoughts into text, telepathically control robots such as drones, and so on. Development proposals from research laboratories and design bureaus were being submitted up to 4 March 2019. Altogether, DARPA has more than 20 programs dedicated to artificial intelligence and more than 60 related to cyber security. Artificial intelligence as a whole, especially machine learning, is regarded by the agency as a kind of collaborative partner that can help identify failures and mistakes. And it goes without saying that this is all being implemented as part of the US government’s overall strategy. International Engagement and Protecting our AI Advantage. These points clearly show America’s desire to establish a monopoly leadership and make the rest of the world become consumers of its products. It is telling that, the day after Trump signed the executive order, the US Department of Defense published its own artificial intelligence strategy focusing on the recently created Joint Artificial Intelligence Center (JAIC). This centre’s budget for 2019 is $90 million. Interestingly, the American media is speculating that such a consolidated decision regarding the accelerated pace in the development of AI programs in the US is due to the fact that China has begun to outpace the United States in the field of artificial intelligence. Another country mentioned fairly frequently is Russia, which is also striving to gain the upper hand in the field, although America is quick to emphasise that Russia uses Western technology. Unlike that of the White House, the Pentagon’s AI strategy is based on the concept of a “human-centered adoption of AI”, i.e. that people play an important role in the deployment and use of “thoughtful” and “responsible” uses of artificial intelligence. Although artificial intelligence can be used for a variety of purposes, it is clear that the US is primarily concerned with power and control, including modern methods of warfare. And it is stands to reason that the unveiling of these two strategies just a day apart set off a chain reaction. NATO has also spoken of the need to increase spending on cyber operations. In fact, the issue was first raised immediately after the acting Pentagon chief visited NATO headquarters in Brussels on 14 February. On a separate note, US Cyber Command has a joint project with the Maryland Innovation and Security Institute called DreamPort. It is a hub where various companies are selected by tender, take part in competitions, and present prototypes of their products in real time. Essentially, it’s about the monitoring and detection of cyber threats. 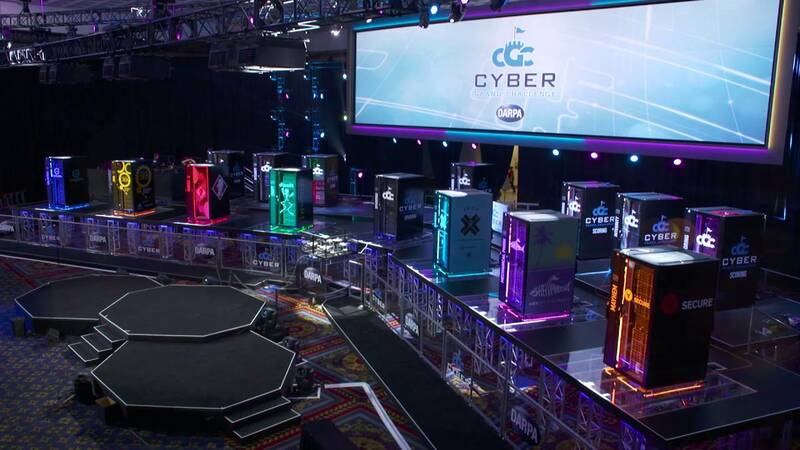 IT companies like Booz Allen Hamilton, IBM, Crowdstrike, Splunk, LogicHub and Jazz Networks recently took part in an online game to detect the “bad actors”. It is clear that events like these are not only to find and safeguard against their own vulnerabilities, but also for hacker attacks and malicious cyber activities carried out remotely. 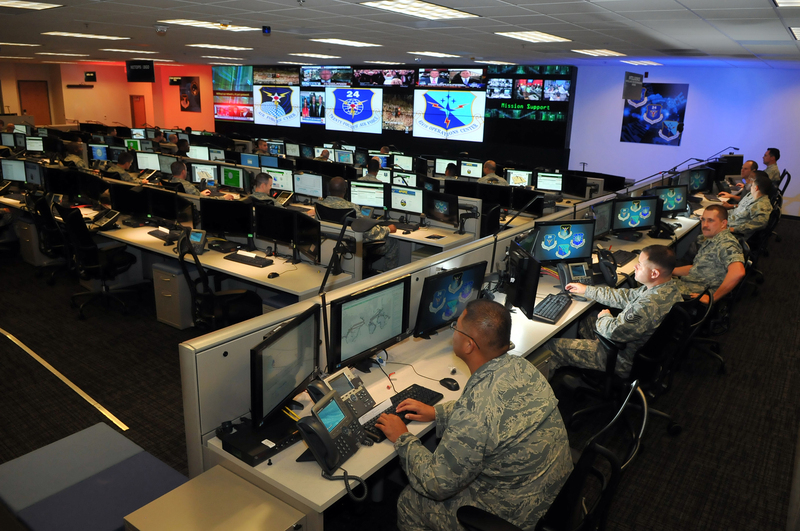 Personnel of the 624th Operations Center, located at Joint Base San Antonio – Lackland, conduct cyber operations. Incidentally, Crowdstrike is known for the fact that one its founders (and a member of the Atlantic Council – NATO’s think tank) is Dmitri Alperovitch, a former citizen of the USSR. He is virtually the only source of information for the US media, which waxes lyrical about Russian hackers and the hybrid war that the Kremlin is apparently waging against the rest of the world. While these stories about Russians are actually false, however, the US is carrying out real cyber attacks, and they themselves are confirming it. Take the cyber attack carried out by US Cyber Command against the Russian Internet Research Agency, for example, which was reported in the Washington Post. This is a direct confirmation of a cyber intrusion into the territory of another state. The newspaper previously reported that the NSA and Cyber Command, together with the FBI, the CIA and the Department of Homeland Security, had set up a special group to detect Russian interference in the US elections and disrupt it. It goes without saying that none of these agencies have, as yet, provided any evidence of this interference. However, while Russian trolls exist in the imaginations of a small group of Western authors and Washington’s minions, especially Ukraine, there are actually real trolls in the US that are instigating all kinds of investigations and measures against Russia. Thus, The Military Coalition in America, a group of 32 military and veteran organisations that has millions of members, recently asked Congress and federal agencies “to recognize that our community is being targeted by foreign adversaries and to take immediate action to protect us”. All this fuss, which has very little substance apart from links to reprints in Western media and Alperovitch’s subjective point of view and imagination, creates the illusion that civil society supports America’s ongoing cyberwar (and other non-military actions) against a number of countries, primarily Russia, China, Iran and North Korea.